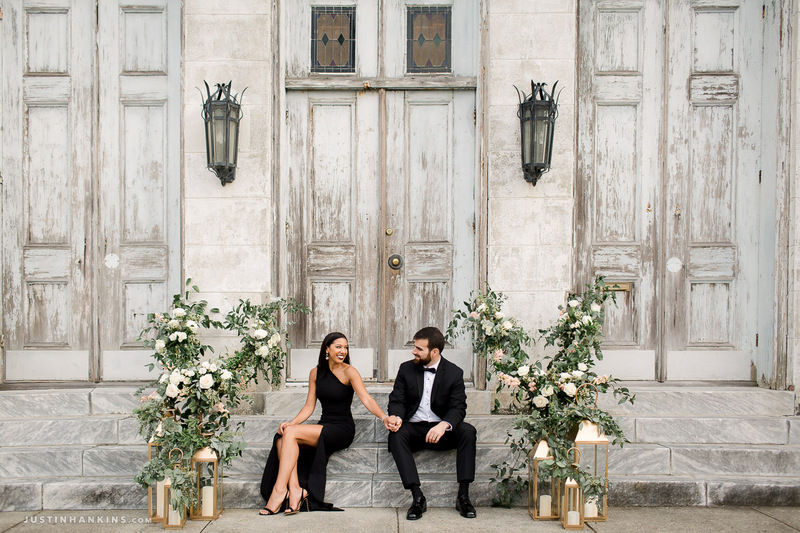 Beyoncé once said her sister, Solange, had the dopest wedding photo of all time. 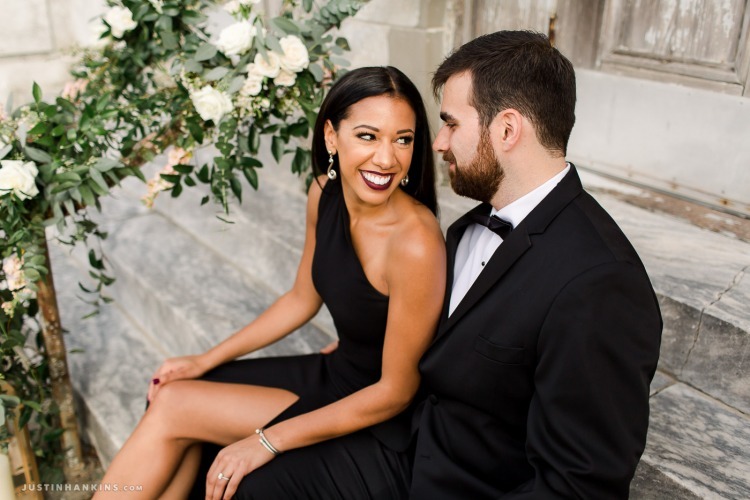 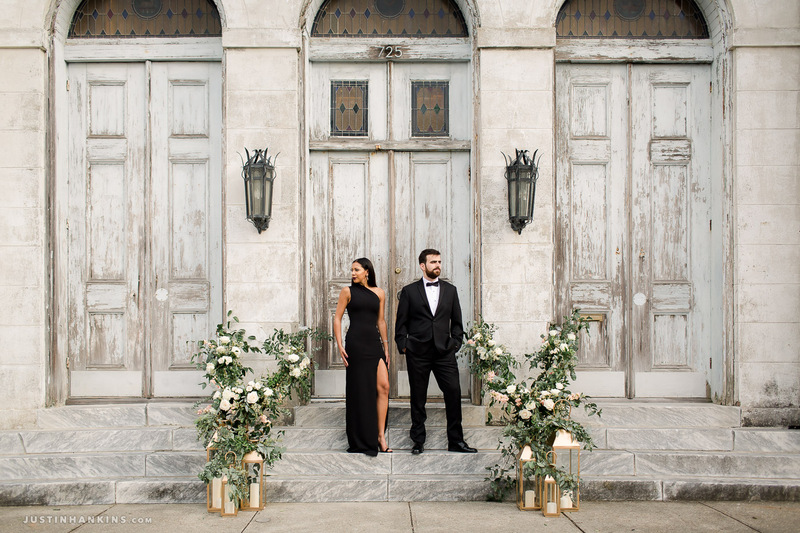 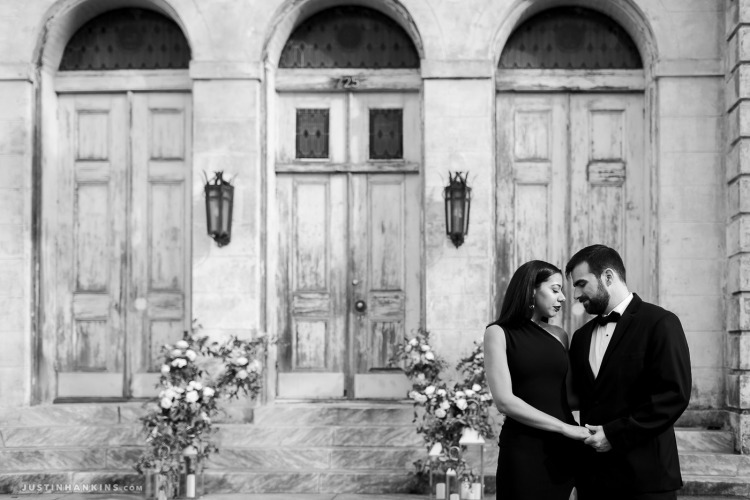 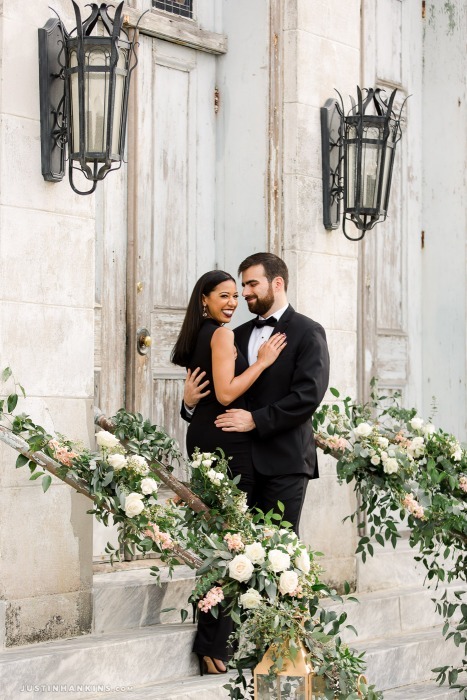 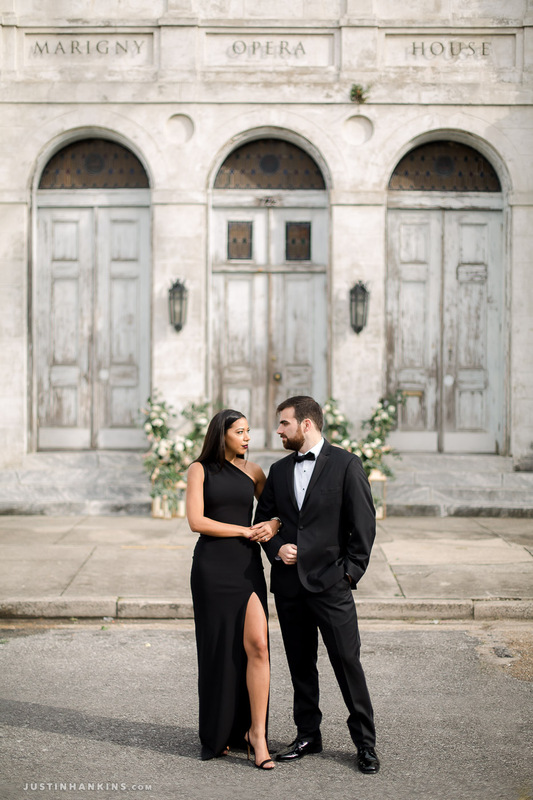 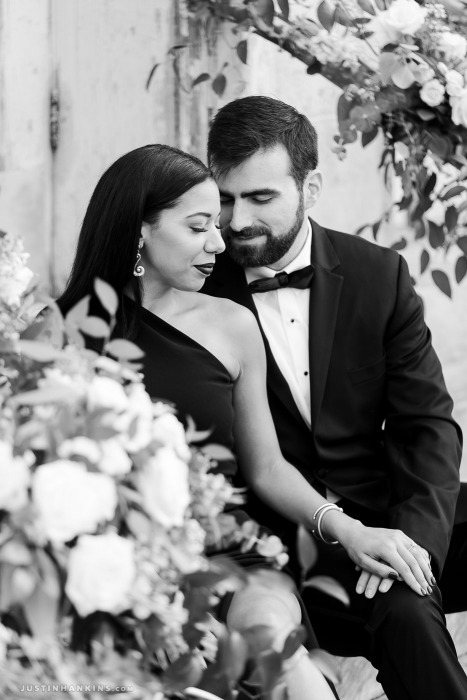 D+A are pretty dope, themselves, so we obviously had to dress up in our elegant bests and revisit the scene to create our own dope Marigny Opera House engagement portraits. 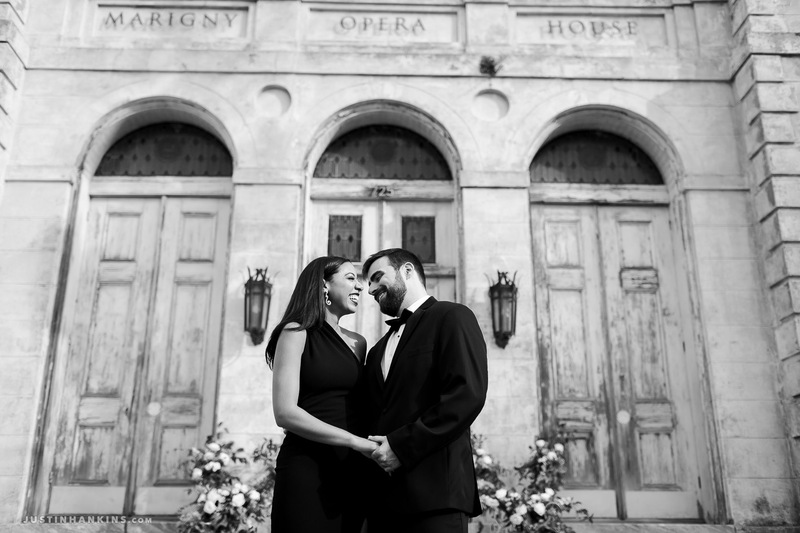 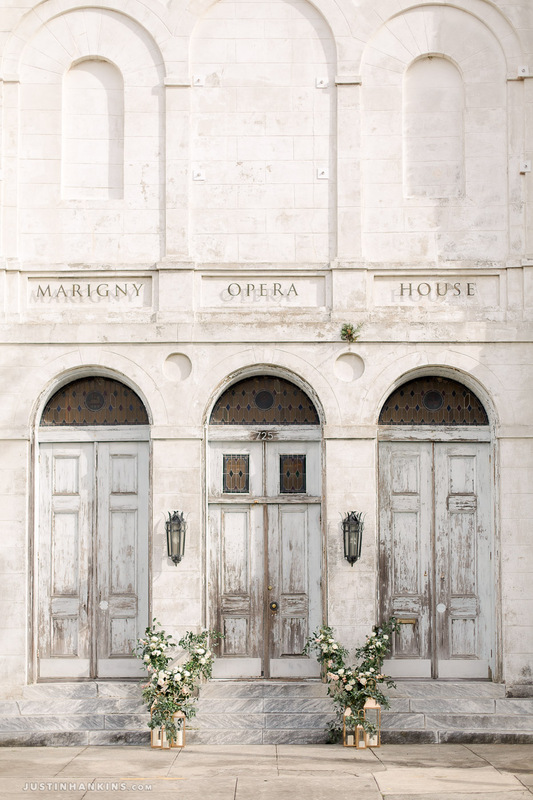 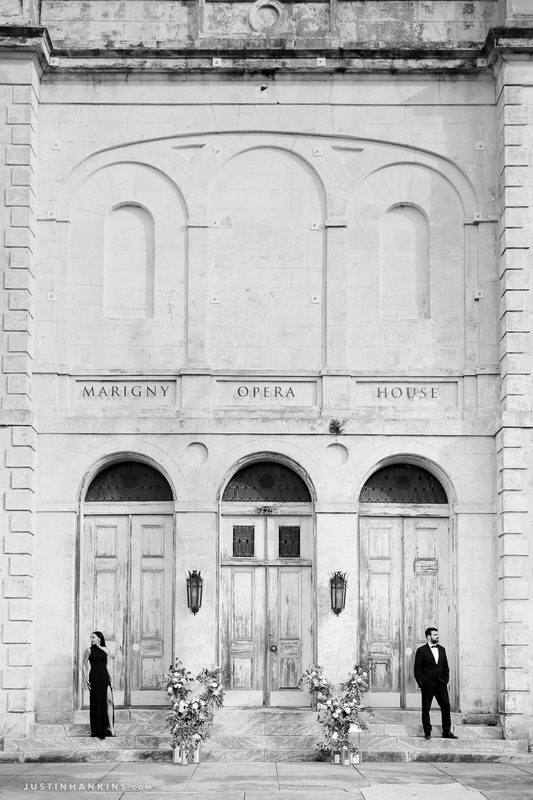 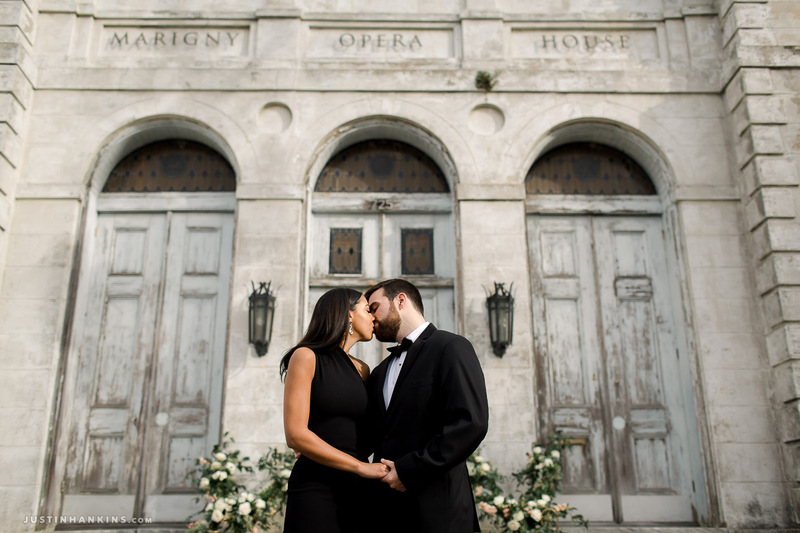 The Marigny Opera House has such a special, rustic exterior. 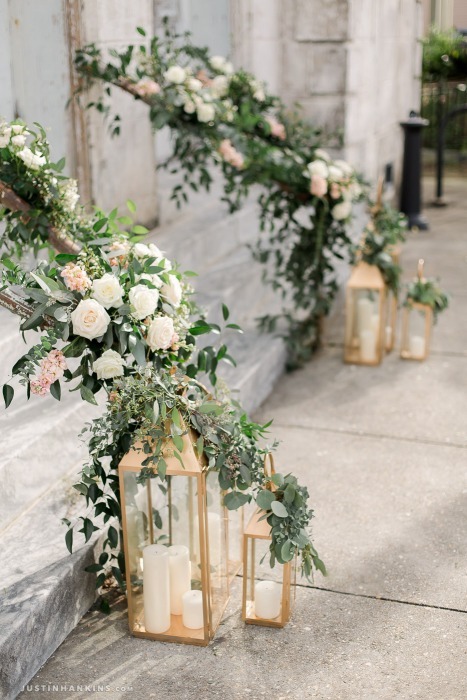 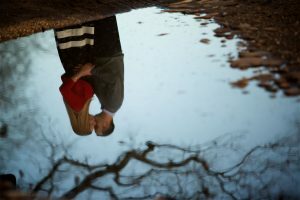 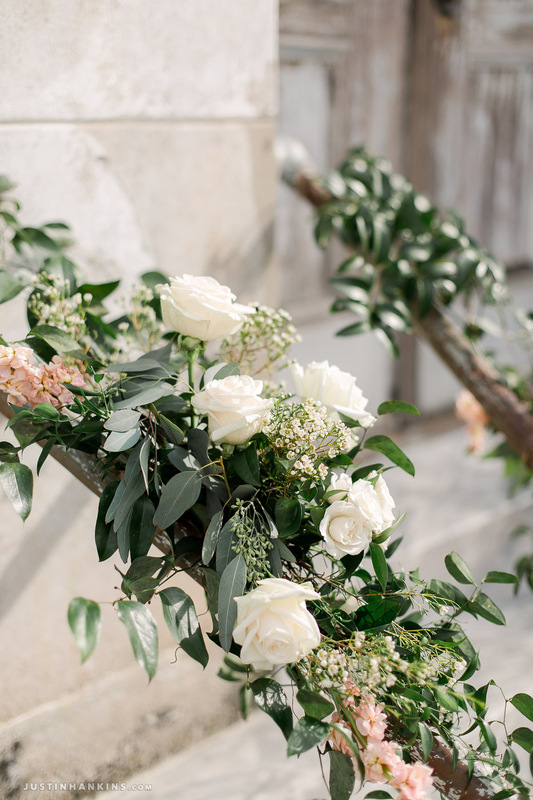 Combined with the gorgeous floral work by Nola Flora and D+A’s elegant outfits, the afternoon came together beautifully.